2. 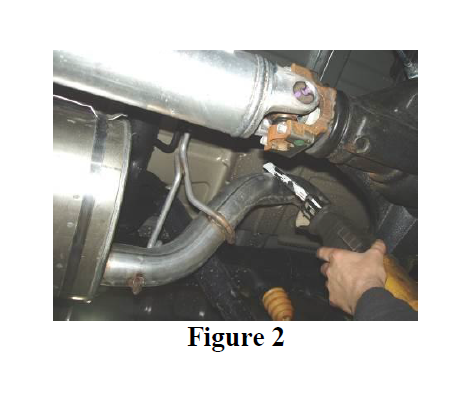 Remove the clamp after the catalytic converter and save the clamp for the installation. Refer to Figure 1. 3. 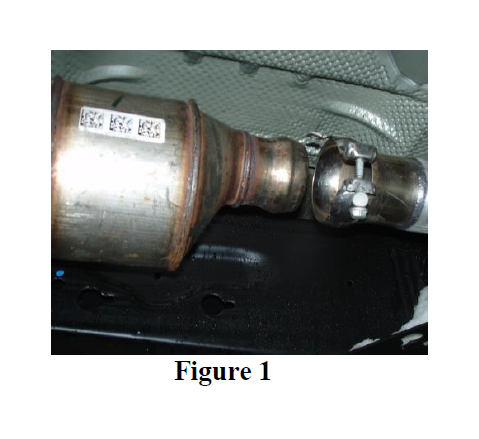 Remove the hangers from the rubber insulators and remove the exhaust from the vehicle. The tail pipe can be cut to ease clearing the rear axle. Refer to Figure 2. 4. 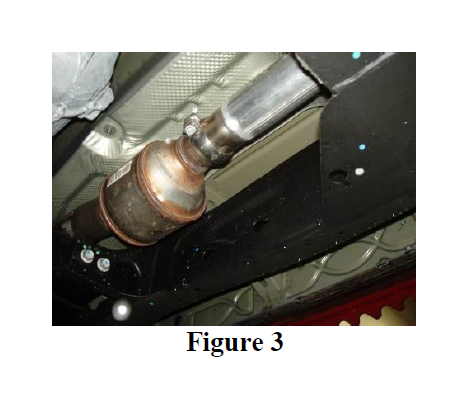 Remove the exhaust from the vehicle. 1. Install the Extension Pipe to the existing flange using the clamp removed earlier. Leave the hardware loose enough for some adjustment. Refer to Figure 3. 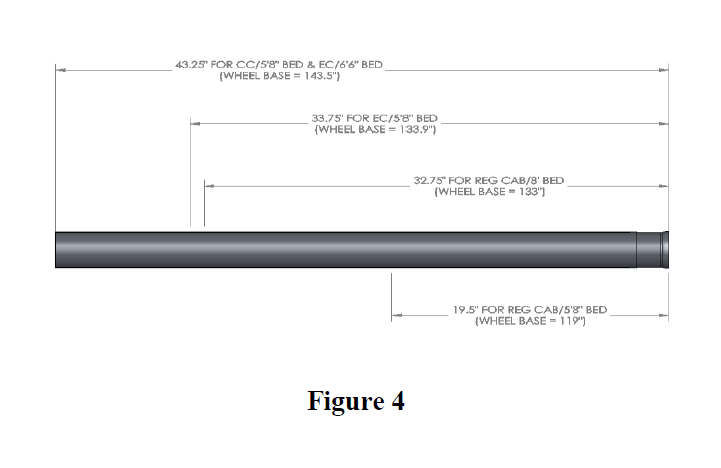 The Extension Pipe will not need cutting for the Crew Cab short bed or the Extended Cab long bed. 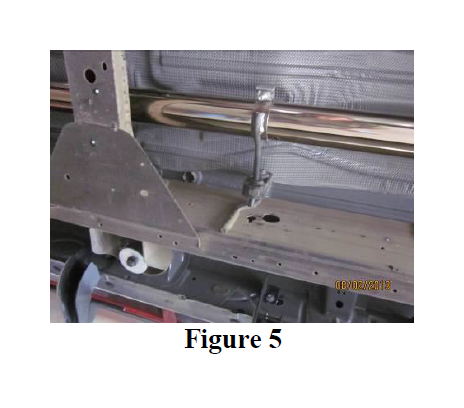 Refer to Figure 4 for cut lengths. 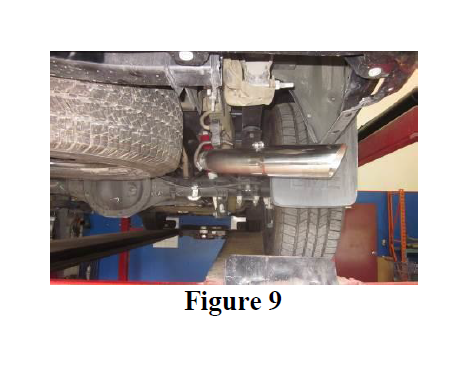 (Installation tip: Temporarily hang the Muffler and the Over Axle Tail Pipe in place and measure to the back of the Catalytic Converter to verify the length required). 2. Slide the Hanger Clamp onto the rear of the Extension Pipe and into the existing rubber insulator. Refer to Figure 5. 3. Install the Mid Pipe using a 3” Clamp if required (Crew Cab 6’4” Box). 4. 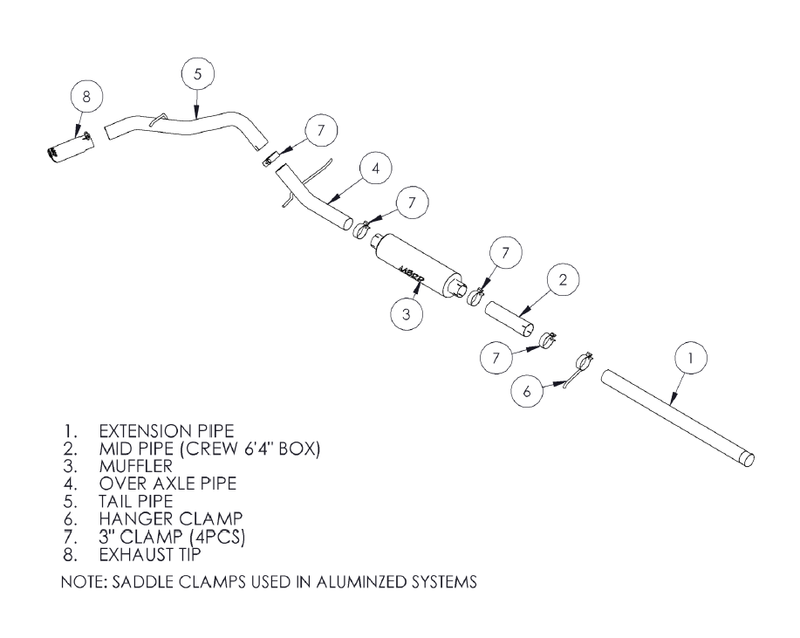 Install Muffler onto the Extension Pipe or Mid Pipe using the 3” Clamp. into the rear of the Muffler. Install the hangers on the Over Axle Pipe onto the factory rubber insulators. Refer to Figure 7. 6. 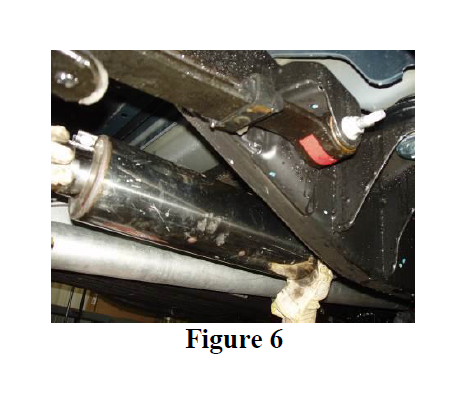 Install the Tail Pipe hanger into the factory rubber insulator located directly above the hanger and attach to the Over Axle Pipe using a 3” Clamp. Refer to Figure 8. 7. 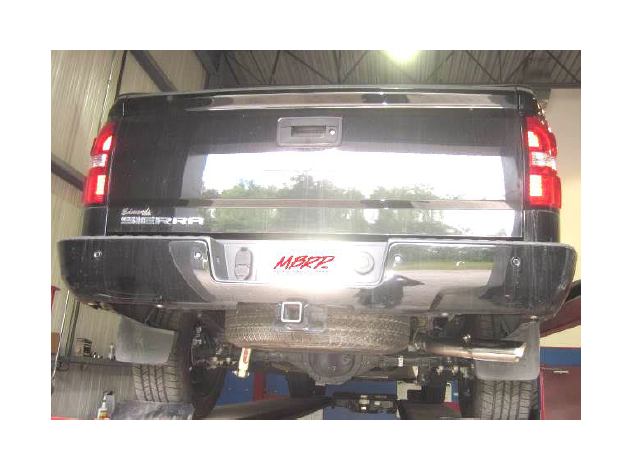 Install and adjust the Exhaust Tip by tightening the bolt located on the Exhaust Tip. Refer to Figure 9. 8. 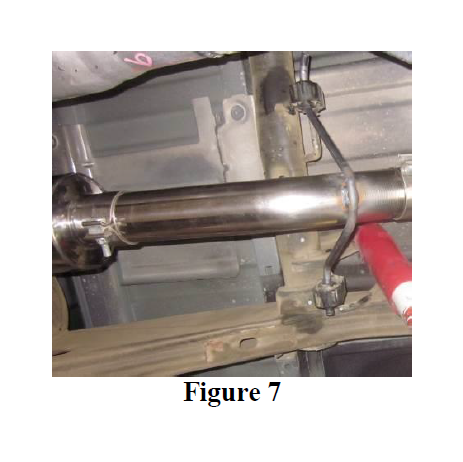 Align the exhaust as required before tightening clamps. Starting at the front of the exhaust tighten all clamps and connections. 9. 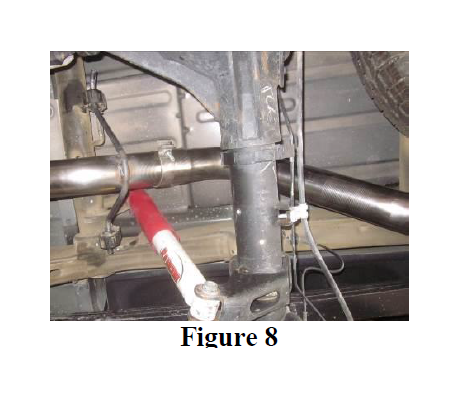 Check along the length of the exhaust system to ensure that there is adequate clearance around the spare tire, fuel and brake lines or any wiring. If any interference is detected relocate or adjust.